Xeroform Dressings - All You Need To Know About Them! Winter Skin Care – Tips and Advice! Honey is well known for its antimicrobial and anti-inflammatory properties and has for years some types have been used as a healing agent for wounds, burns and ulcers. Difficult and severe wounds have been known to react to honey and heal effectively. Therefore, honey dressings in wound care are popular and have found their way into modern medicine especially where conventional treatment of antibiotics and antiseptics are proving ineffective. More and more, medical honey is now being used in the treatment of different types of wounds including surgical incision sites, traumatic wounds, minor burns or first and second degree burns, leg ulcers, diabetic foot ulcers, sloughy wounds and pressure ulcers. For years now, many studies have been conducted and much research been done into the nature of honey and its characteristics. Controlled trials were conducted and critical reviews presented. Although studies continue, there are published reports about the healing properties of honey and its effective use in modern medicine. Honey is found to be a strong antimicrobial active element with a deodorizing and debriding action and seen as having an osmotic effect on a wound. When fighting infection, the key body immune responses are lymphocytic and phagocytic activities and these are said to be stimulated by the presence of honey. Since honey is a super-saturated solution of sugars, it reacts strongly with water molecules and eliminates the presence of free water. Microorganisms cannot flourish without water and therefore, infection is avoided and the healing action begins. Also, medical honey for wound disrupts cell division when applied to a wound. Cells are unable to multiply and without cell division, bacteria cannot create a colony. This prevents infection and deepening of the wound. Again, when a wound has a lot of slough and eschar, the risk of infection increases and it becomes difficult to heal. If honey is applied, it has a debriding effect on the wound. It gets rid of all the dead and sloughy tissues thereby promoting healing. Infected or exuding wounds can produce malodor. When honey is applied to a malodorous wound, it has a rapid deodorizing effect probably due to its bacteria-reducing properties. Different types of honey work differently. All honey may not have the same healing effect and the higher the antibacterial activity of the honey, the stronger the healing power. Honey from the manuka tree, which is native to New Zealand, is said to have exceptionally high antibacterial activity because of its additional non-peroxide antibacterial component. This means the presence of high degree of antibacterial phytochemical activity. 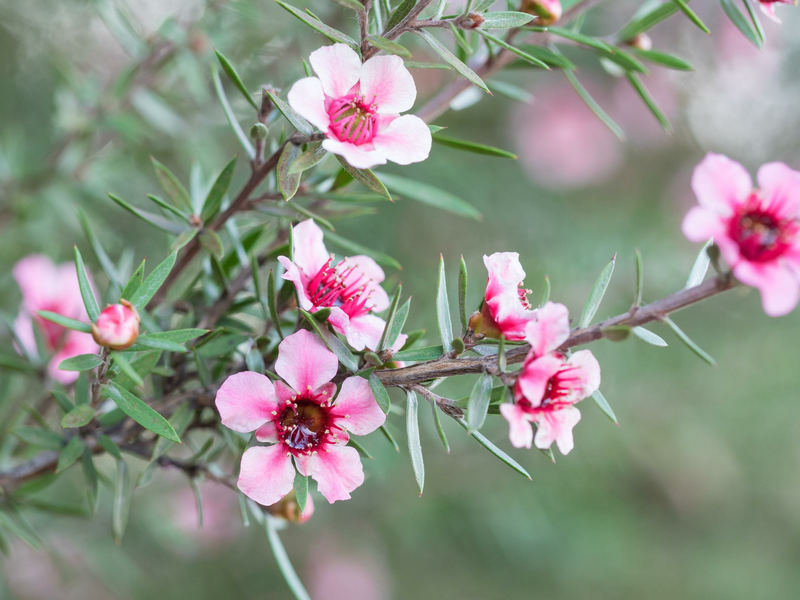 Manuka honey has been found to have an effective impact on difficult-to-heal wounds and burns. It keeps the wound bed clean of necrotic tissue and can also work in the presence of wound fluid, blood, and tissue. Many kinds of honey produce hydrogen peroxide on dilution but in the case of manuka honey (Leptospermum scoparium), hydrogen peroxide has not been noticed. Undiluted honey has a broad spectrum antibacterial activity due to its high sugar content and lower water content but when it is diluted, this activity is lost. But in the case of manuka honey, this does not hold true. The presence of a heat stable antibacterial component, methylglyoxal, maintains the antibacterial activity even when it comes in contact with the wound fluid and becomes diluted. This non-peroxide activity is important because factors such as acidity, catalase and protein-digesting enzymes in wound fluids all work towards reducing the hydrogen peroxide antibacterial effectiveness. So, honey needs to have non-peroxide activity in order to create a healing environment. The therapeutic properties of honey depend on its bioactive components. In manuka honey, a bioactive component called methylglyoxal is said to contribute to the antibacterial activity. Honey, particularly Manuka honey, has been seen to have an antibacterial effect against fungi including Staphylococcus aureus and Pseudomonas aeruginosa. Sterilized, laboratory-tested honey should be used in the treatment of infected wounds. Honey dressings are available in various forms – gel or ointment, honey-impregnated tulle, get sheets and honey-impregnated calcium alginate. Medihoney dressings are quite popular for management of wounds and burns. They contain active manuka honey providing a moist, occlusive environment which is conducive to optimal wound healing. The wound exudates get absorbed allowing the alginate to form a gel and the dressing to be easily removed. These types of dressings can be used on chronic or acute wounds and can form an important component of wound bed preparation.